Williwaw is a solid English sloop-rigged boat built in 1977. This strong ship has already sailed for 40 000 nautic miles. 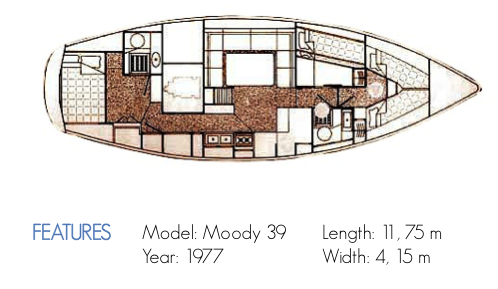 Moody chipyard company signature, she is not a racing yacht but an extremely resistant boat with good navigation qualities that will provide the crew comfort and safety. Her previous owner, Old Chap Jeannot, has been treating her like a lady for more than 20 years. Our months of research finally led us to the south of France at Lavandou Harbor where she was at dock. 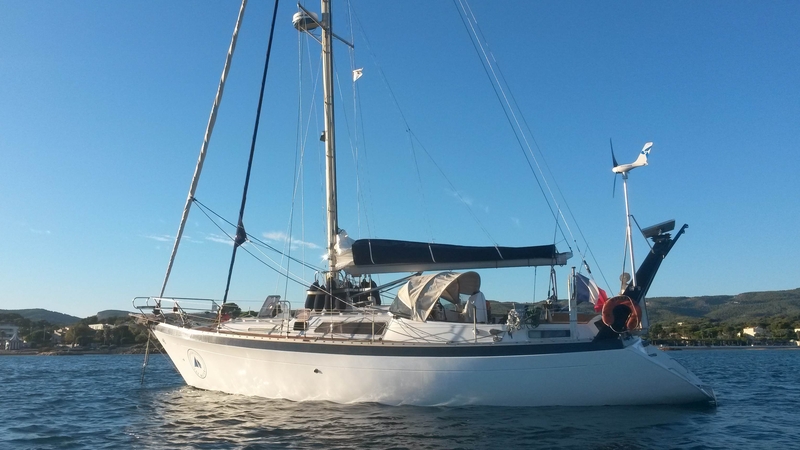 Williwaw has now droped her anchor a little further, in the harbor of Toulon before taking off in September 2015. 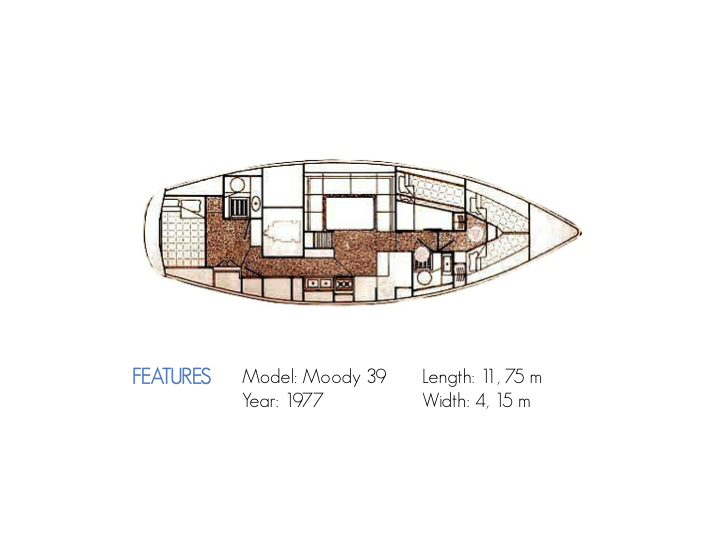 The boat is comfortable enough to host temporarily guests on a field mission since she is a spacious vessel with fitted kitchen, three double berths in three different cabins and two shower rooms.